The more one looks at the art of John Sheehan, the more it reveals, rewarding the unhurried art of ‘slow looking’. 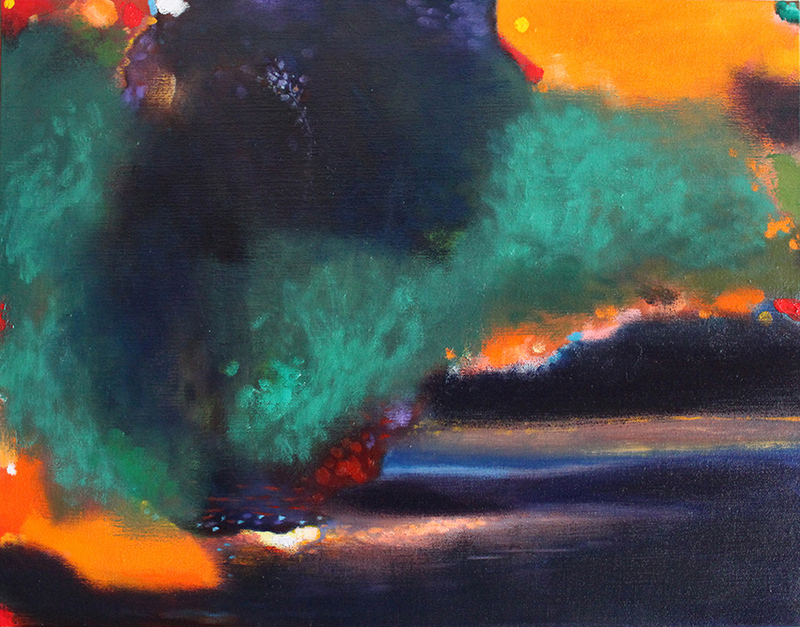 First impressions are dominated by the unusual and dynamic colour combinations that Sheehan creates. Fields and plateaus of colour hover on the surface of the picture plane, before fracturing or smoothly dissolving into one another. The artist seems to rejoice in these unconventional juxtapositions, and in doing so generates a fresh originality that can so easily be lost in painting that uses the landscape as its point of departure. 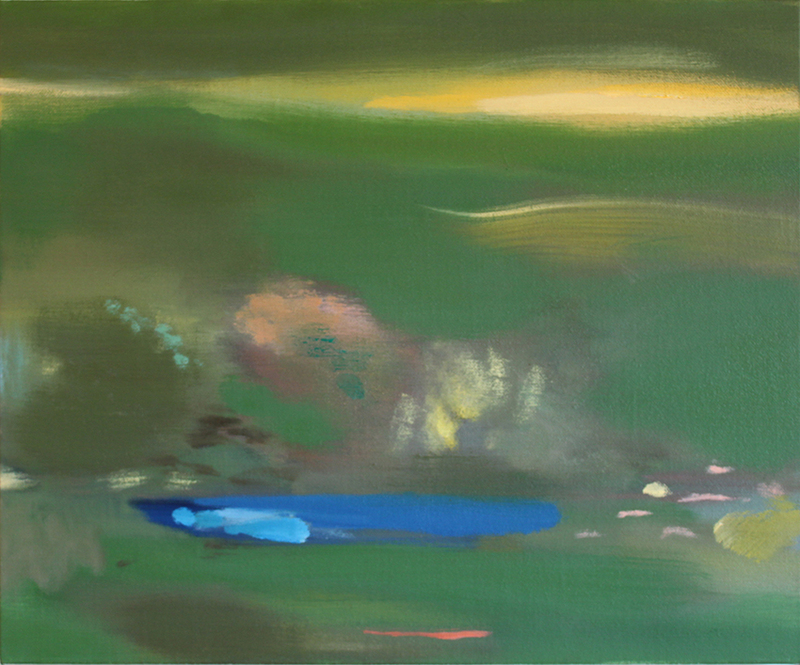 Yet while it contains traces of the landscape, Sheehan’s work resists genre classification. His art traverses the liminal spaces between the tangible natural world, and something else that is related, but separate from the hard reality of matter and objects. This indefinable otherness exists in the abstracted elements of his paintings – the shifting cacophony of sometimes exuberant colour and shapes which fill up the canvas, through which a recognisable form will occasionally emerge. Sheehan has dedicated himself to a field of enquiry that hovers between the broadly categorised genres of abstraction and the figuration, slipping in and out of these diametrically opposed conditions in much the same way that the mind casually floats between memory, fantasy, the present and the future. There is a historical lineage of this quest to incorporate illusionistic realism, with painterly abstraction. Many artists have sought and continue to seek the point of harmonious intersection, where the two states can exist convincingly in the same picture space. John Walker is an early and influential exponent of this preoccupation, which is continued by contemporary artists such as Phillip Hunter and Ian Parry, both of whom taught Sheehan at Prahran College of the Arts and the VCA in the 1990s. This tension between the illusion and dissolution of form continues to fascinate contemporary artists, including Sheehan. Theoretical concerns are but one aspect of this artist’s practice. The paintings that comprise Contemplating Colour gain as much from their evocation of distant memories, as they do from the active process of mark-making, and the joys of discovery that this process engenders. Thus the works are rarely pre-conceived, and the imagery takes form through the act of creation. There is also a symbolic aspect that appears in the emergence of the tree motif. Throughout history trees have contained the symbolic association of linking the underworld (roots) with the living earth (trunk) and the celestial heavens above that the leaves and branches reach toward. Whether or not Sheehan consciously chose the tree for these rather holistic, spiritual associations is irrelevant. 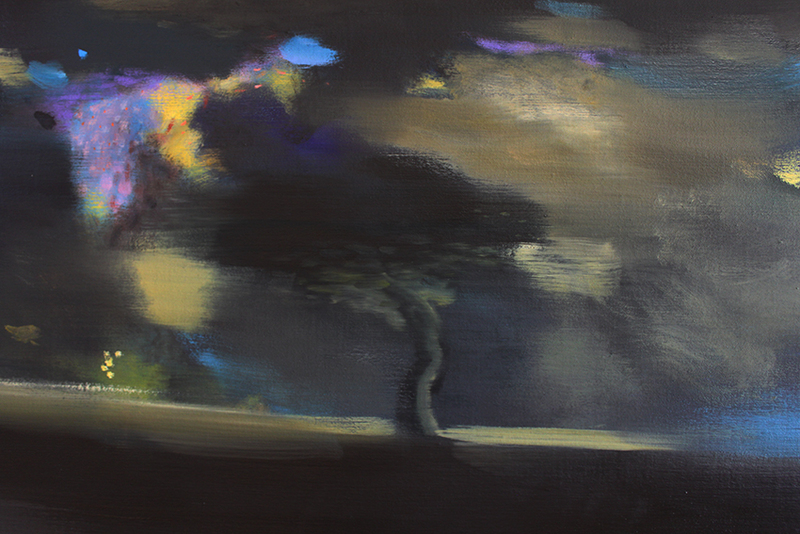 Like all of his work its inclusion seems to spring from a very deep well of unconscious thought, and just makes sense. Sheehan seems to be mapping an internal creative process that draws on markers and meanings that hold credence in the external world. In doing so he creates a strong visionary quality that allows the viewer to trip the light fantastic, and return back to the everyday world more inspired for having taken the journey. Tags: art, arts, colour, contemporary, landscape, painting. Bookmark the permalink.